Attention Syracuse Juggalos: If you’re planning on heading to the Fright Fest Tour tomorrow night, then we’ve got an EXTREMELY important announcement for you. 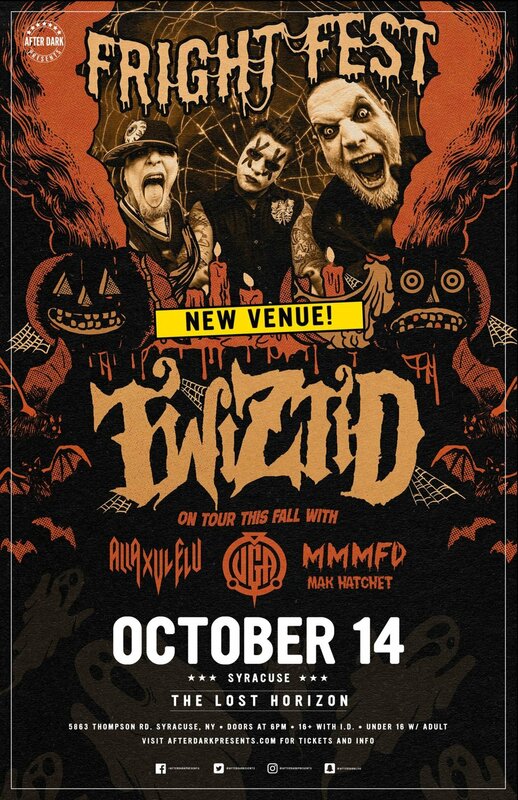 You can still get tickets at https://www.afterdarkpresents.com/twiztid. Make sure you show up at the right venue, and spread the word to your homies!